EFCC officers raided Ikoyi and arrested 12 suspected internet fraudsters. 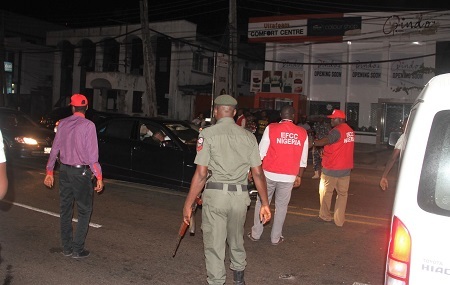 As part of efforts to stem the tide of cyber crimes, the Economic and Financial Crimes Commission, EFCC, Lagos Zonal office, in the early hours of Friday, May 11, 2018 arrested over 12 suspected internet fraudsters in the Ikoyi area of Lagos. 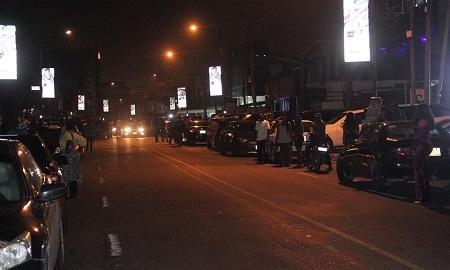 The EFCC operatives stormed the popular Club 57 on Awolowo Way, Ikoyi, where the suspected "yahoo yahoo boys" were rounded up, following intelligence report. 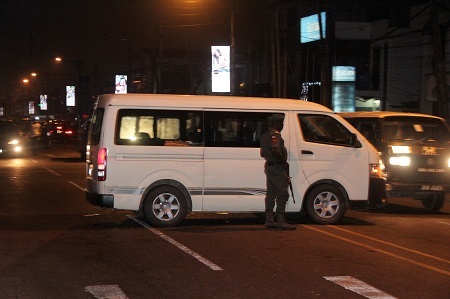 However, a total 10 cars were recovered from the suspects during raid that lasted about three hours. The suspects will soon be charged to court when investigations are concluded. It is very appealing topic you’ve composed here. this, yet I think this is an excellent chance to learn more about.